Toyota Gazoo Racing return to the track this weekend, just one month on from the heartbreak of this year’s Le Mans 24 Hours. The team are determined to put disappointment behind them and respond with a strong result at the 6 Hours of Nürburgring, the fourth round of this year’s World Endurance Championship. The race takes place just an hour’s drive from the team’s base in Cologne and gives them another opportunity to prove they have the machinery and talent to beat their manufacturer rivals Audi and Porsche. The No5 crew of Anthony Davidson, Sébastien Buemi and Kazuki Nakajima has suffered misfortune in all three races so far this year, in spite of consistently competitive showings. Their target is to finish on the podium this Sunday. 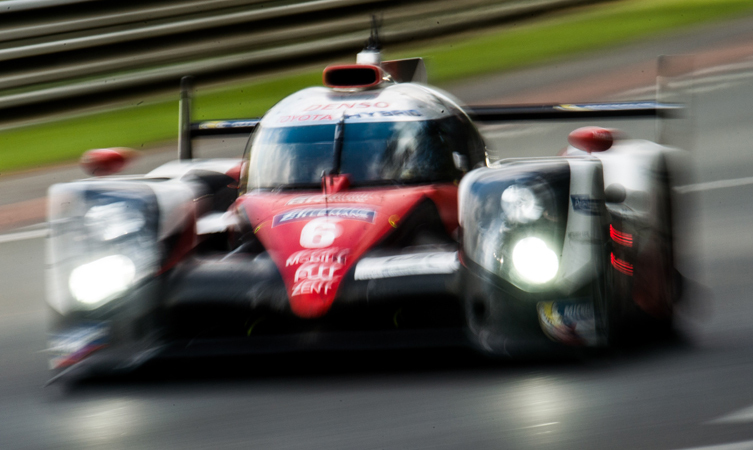 Stephane Sarrazin, Mike Conway and Kamui Kobayashi took second place at Le Mans in the No6 Toyota TS050 Hybrid, keeping them in contention in the drivers world championship. Like their team-mates, their aim is to clinch a first win of the season. The team are fielding a different version of the TS050 Hybrid this weekend, with an ultra-high downforce package to suit the Nürburgring’s tighter, shorter character. Updated front and rear bodywork has been developed in Toyota Motorsport’s wind tunnels, with the aim of generating additional downforce at the cost of a lower top speed – a combination better suited to the demands of the circuits the team will be visiting for the next rounds of the championship. When practice begins on Friday, the team’s focus will be to analyse the new package and fine tune it for the demands of the 5.137km Nürburgring track. Qualifying will take place on Saturday and the six-hour race will get under way at noon UK time on Sunday. "Hi again, Quick one on Dynamics Rav4 can I have heated steering w..."